He plays for the St. Louis Blues, not the St. Louis Cardinals. He doesn’t have any World Series experience. But Kevin Shattenkirk does have a love for baseball and a story or two to share about the game. After hitting the links for a recent team charity golf function, Shattenkirk, along with his teammates, made a beeline to the clubhouse to catch the last few innings of the Cardinals-Pirates Game 4 National League Division Series game. Shattenkirk, a Boston Red Sox fan, played baseball for several years when he was growing up in Connecticut. His fondest recollection of his days on the diamond came when he was in sixth grade. It wasn’t only baseball for the Shattenkirk boys, Kevin (the youngest), Eric and Keith. Though he played baseball, lacrosse, football and hockey, Shattenkirk knew early on which one was his greatest passion. His theory certainly has merit. Shattenkirk, now over 200 games into his NHL career, has established himself as one of the game’s most versatile blueliners, combining offensive savvy with shutdown defence. He’s also part of St. Louis team eager to shed past post-season disappointments. The Blues are undefeated early on in the 2013-14 season (4-0), the club’s best start to a season since 1993-94. 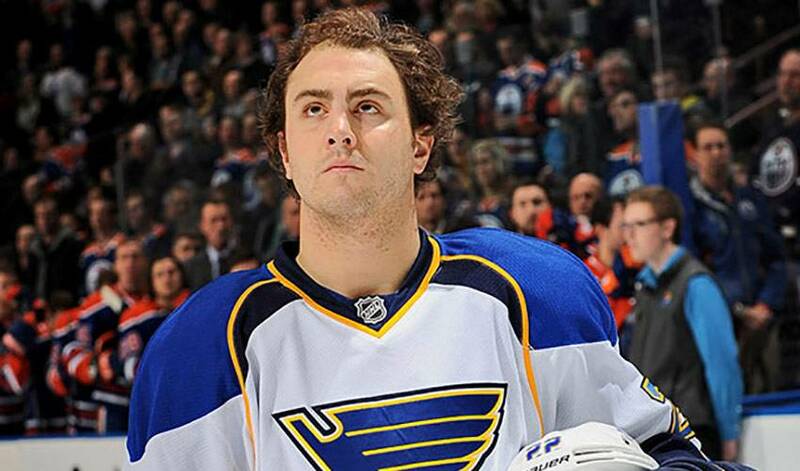 As for his previous sporting life, including years spent on the diamond, Shattenkirk has no regrets.